The horizontal axis represents the total amount of time you expect to spend on completing the project. The vertical axis represents the tasks you need to perform for completing this project on time. The horizontal bars of different length and colors show the sequence of tasks with the specified start and end dates. The horizontal lines mark the most important dates in the project progress (milestones). Check out our video-guide on how to work with Gantt Chart, or visit our Help Center to get a detailed step-by-step instruction. is this available for hybrid solutions? Not yet, Tester. 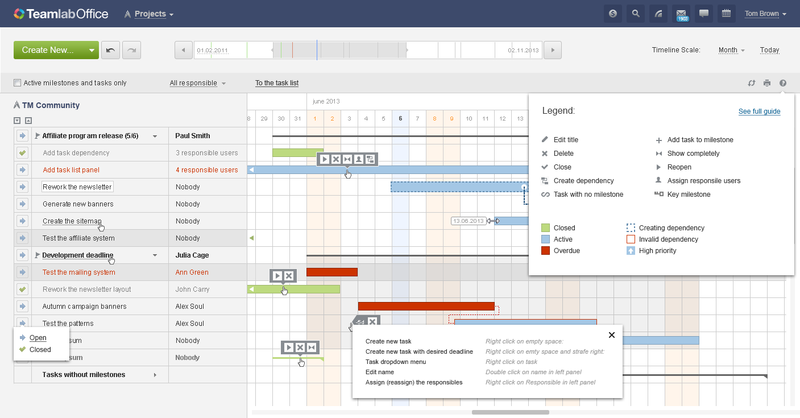 So far Gantt Chart is available for SaaS solution only. What if gantt chart button is not displayed in our portal? Dear Peter, please clear your browser cache – the button will appear. Also, please note that Gantt Chart is not available via smartphones and tablets yet. Feel free to contact if you have any other questions. This is Great! this visual aid has increased my team’s understanding of the project’s scope. Follow up and milestones is far better than just printing the list. 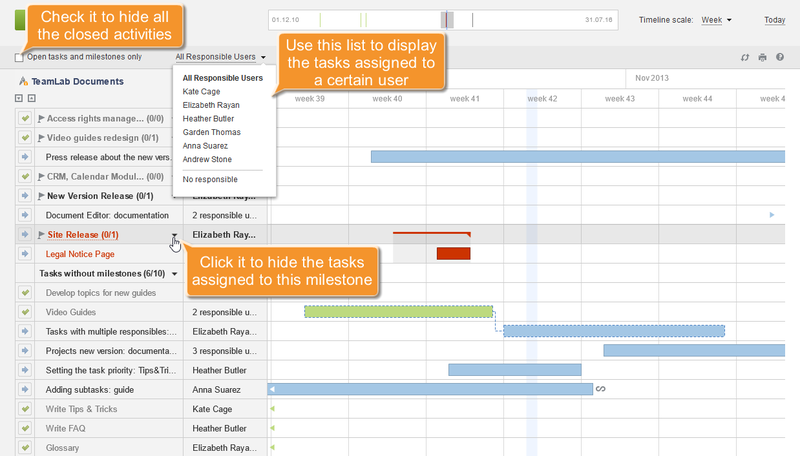 José, we are so glad that the Gantt Chart helps your team to be more productive! This was exactly our aim) So thank you for your kind words and good luck to your projects! Thanks! Will be very helpful indeed! Great job! Keep it up! Dear Ukit, so far Gantt Chart view is available for 1 project only, but for the next release we are planning to implement an overview of several projects and linking tasks from different projects as well. i found it too much useful to followup the projects. i wish if we can view it from the smart phone shortly. and i wish if we have a dash board to allow the Managers monitor all projects,tasks and opportunity for all users from one place.